Candidates contesting the Southern Highlands provincial seat have petitioned the Electoral Commission over allegations the polling process was hijacked in the Nipa Kutubu electorate. The petition, signed by 24 candidates, was presented to the Election Manager David Wakias last Friday, in the presence of the Provincial Police Commander, Chief Superintendent Sipron Papoto, security personnel and the public at the Mendi Police Station last Friday. 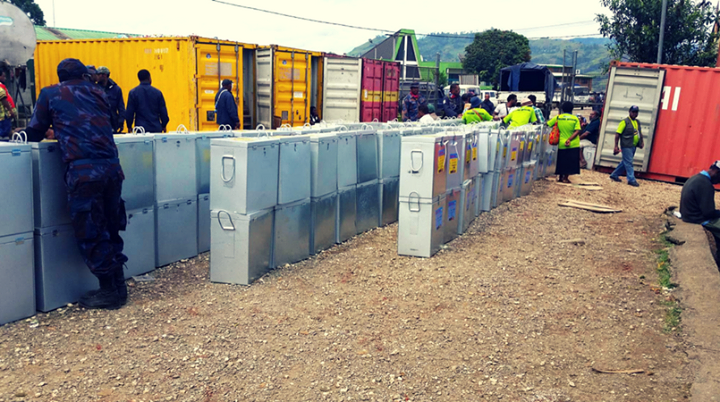 The candidates who were suspicious of over the manner in which polling was conducted, made allegations of hijacking and tempering of the boxes, demanding that those identified boxes be set aside while the other boxes for Nipa-Kutubu with the four electorate boxes can proceed to counting. Nipa-Kutubu Returning Officer and the Assistant Returning Officer, PPC Sipron Papoto, say the case is serious and an investigation will be conducted by CID police officers from Port Moresby. Responding the petition by the candidates, the Provincial Elections Manager, David Wakias cleared the involvement of his deputy manageress. He says administrative measures have already been taken on her. 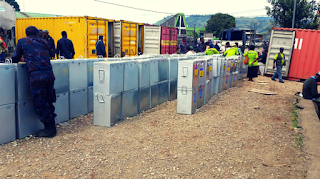 Mr Wakias cut open the container and removed the disputed 14 provincial boxes from Nipa electorate and set them, locking them in a separate empty container.